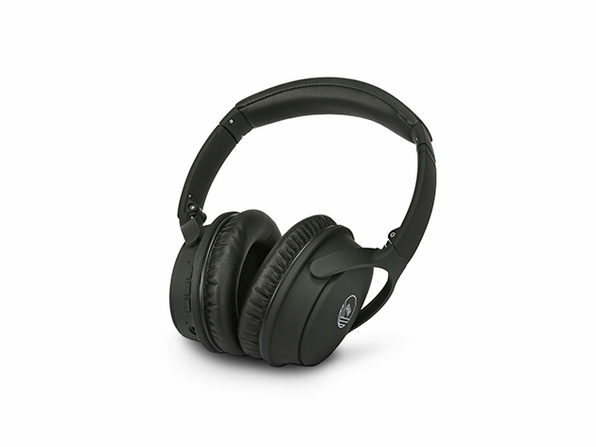 Note: This promotion is ONLY available to customers in the Continental United States and is ONLY compatible MacBook Pro unibody (Any MacBook Pro purchased 2008 or later). Shipping is INCLUDED. Created to perfectly compliment Apple's unique style, Lazerwood keyboard covers are something special. 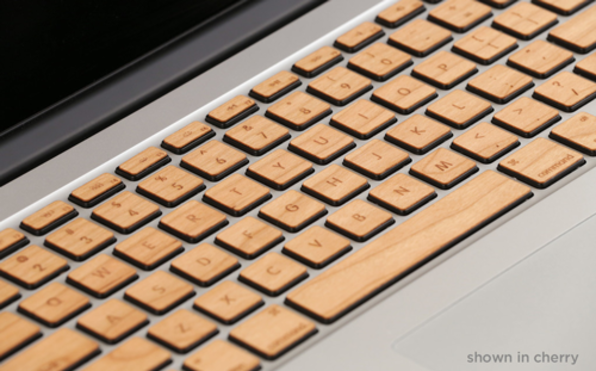 This unique product is made up of individual cherry wood key covers. The key covers attach individually to each key of your MacBook Pro Unibody (any MacBook Pro after 2008 is a Unibody) and they look amazing. 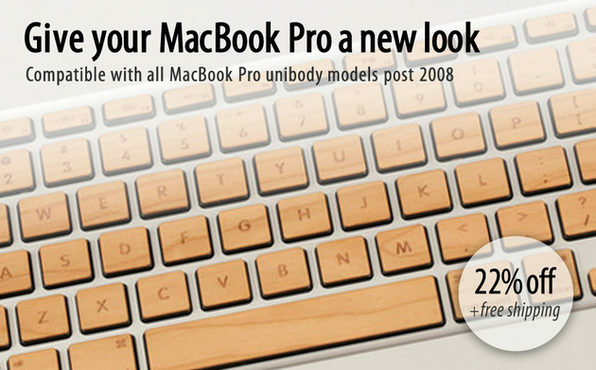 Lazerwood Keys are a sleak way to make your MacBook Pro stand out. This is one of the few products we've come across that that actually adds to Jony Ive's acclaimed designs. 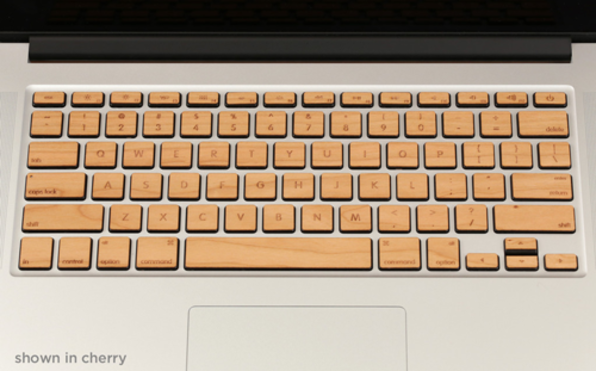 These keys make your MacBook Pro look even better...something we didn't know was possible. These keys can be a little tricky to install. The Lazerwood keyboard takes around 30 minutes to install, and if done incorrectly, crookedly or in the wrong spot, you can pop them off with your fingernail or a craft knife. At times this may pop off one of your actual Mac keys but you can always pop those back into place. That being said, they are a beautiful addition, and when done correctly, they can be removed without any issue.